Don't worry, Nottingham's Council House hasn't been taken over by witches or aliens, it's a shot from the fireworks tonight, as the Christmas lights were switched on, and the festive season has officially begun in the city. Paralympic swimmers Charlotte Henshaw and Ollie Hynd who won medals in Rio pressed the red button, overseen of course by Robin Hood, Santa Claus and the Lord Mayor. 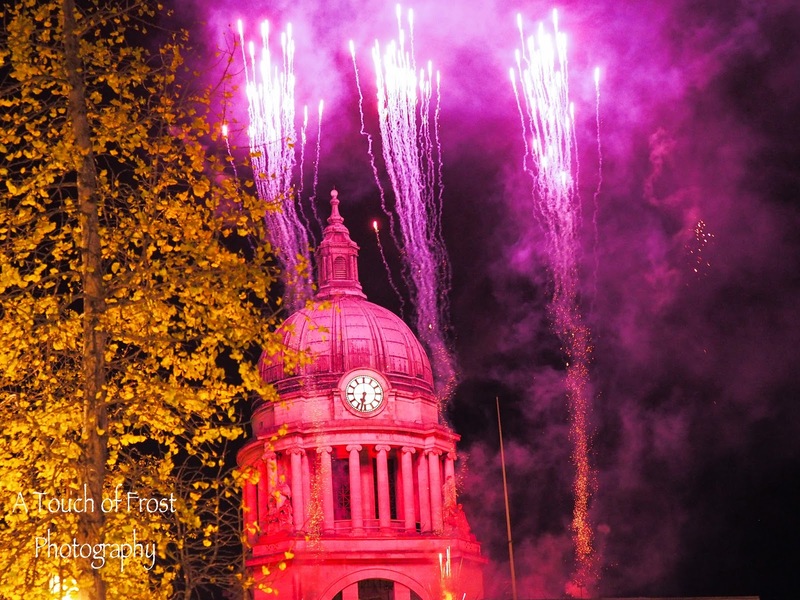 Then a five minute firework display began, which was enjoyed by the thousands who had packed into the Old Market Square for the event. The city council has purchased a lot of new decorations, which is great, as the previous ones had been on show for at least three years running. I shall have a look at them another night when there isn't so many people about.